Brett and I have been watching a lot of Pushing Daisies these last few days when the stars have aligned and both kids have taken long naps AT THE SAME TIME. (Noted: This is when I should've been cleaning.) The result has been an overwhelming urge for a piece of pie. Or a pie sampler. So, I told Brett that I wanted him to take me to a pie shop for my birthday and he agreed it was better than going bowling, which was my first suggestion. We have a bowling joke but it's only funny to us. We plan on going to see Eat, Pray, Love before we enjoy our pie because I finally finished the book this weekend and the first third is all about indulging in delicious foods. For those who have and will ask, I enjoyed the book. It was an indulgence in itself. I love food with a sense of humor. If today was the first day of your new diet, I apologize. Ugh omg you have no idea how much I've been craving pie this past month lol! LOVE Pushing Daisies. So sad it was cancelled. I did NOT love Eat, Pray, Love. It was super slow moving. I will say, though, that I don't have the connection that reading the novel might have provided. All I can say is that as a standalone movie...no bueno! After you see it, you must report back to say whether it was good or not...maybe I just reallly need to read the book to 'get it'. I love those pie pops, they are adorable. 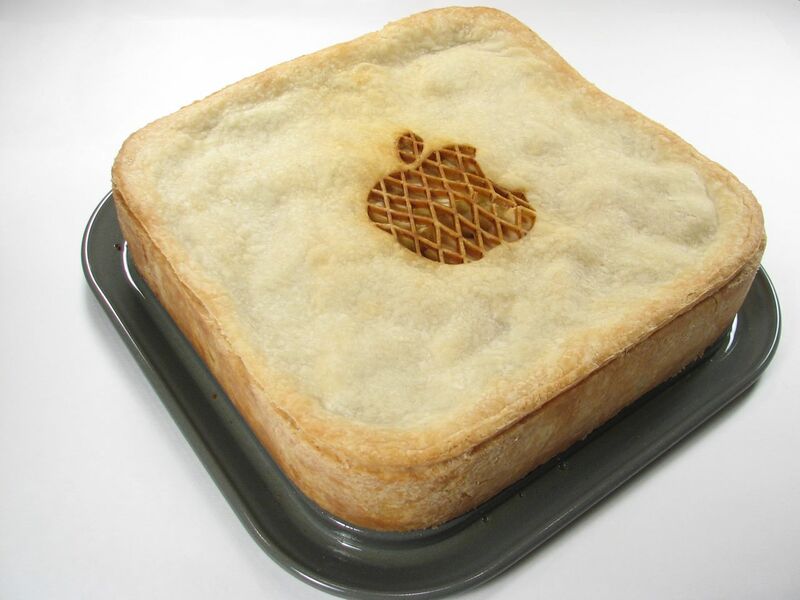 Haha that Mac pie is awesome! and the lollipop ones! I've been wondering if that book is any good, I see it in the hands of a lot of people around here. The movie looks like fun! i loved eat pray love! a little slow, but overall i loved it! so funny, we've been watching pushing daisy's like crazy when the kids go to bed for the past week. (thank you Netflix!) so great! and yes, the pie craving is insane! Pushing Daisies is an AWESOME show! Everything Chuck wears is breath taking! I love the humor of it all! 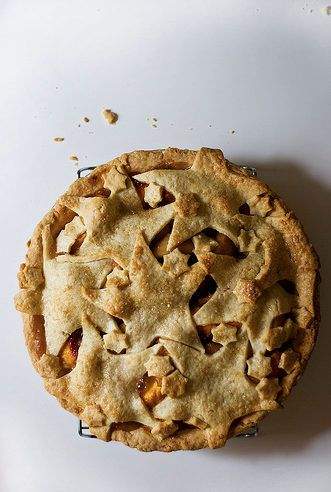 The movie Waitress also makes you want pie MAJOR. i think i'll be baking in the kitchen today. those pies look soooo good! My husband and I have just now been getting into Pushing Daisies so we've been craving pie, too! Especially with gruyere baked into the crust... makes me want to open a pie shop! This looks so delicious, and I bet it also tastes that delicious!!! mmmm those pie pops look delish! Luckily this was not the first day of my diet...I've been dieting for almost 9 months now so this wasn't TOO much torture. But holy smokes that all looks so good. I shall get some pie on my cheat day Saturday. :) And those pie pops are adorable!! So clever. It wasn't the first day, it was the fifth! Big difference, right? It's not a diet, I'm just staying away from sugar for 30 days. I have been eating way too much of it, and my addiction needs to calm down. :) I was ispired by Josephine on Simple Lovely. Johnny and I had to take a break from Pushing Daisies. I'm not joking when I say we were going through 2 pies a week. Pies + pregnancy = one big mama! 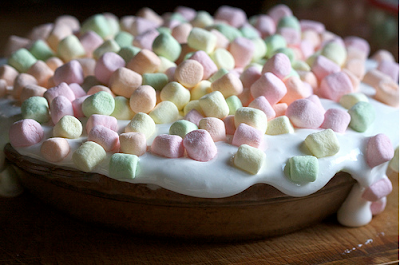 Anything with marshmallows has to be good! Ooooh I miss pushing daisies! Oh, I loved, loved, loved Pushing Daisies!! I haven't seen Pushing Daisies, but with all the recommendations, I guess I should start! i LOOOOVE pushing daisies and i love this pie post!! that Apple apple pie is too clever. ha! I love Pushing Daisies, I love Chucks wardrobe! We just watched seasons 1 and 2 this past month. Love the pies pops, too cute. That looks so delicious and I think I may have all the bits to make some pie pops right now! don't you just love that show? i crave pie whenever i watch it too. 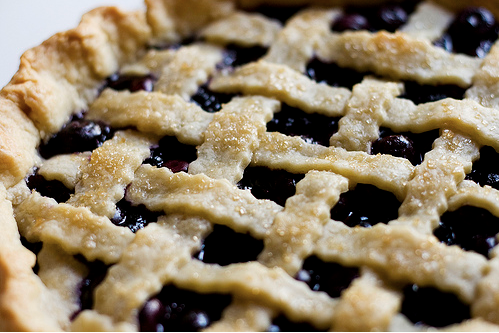 these pies are so pretty. Oh, I love pie! So much better than cake. Pushing Daisies is the sweetest! I still can't believe it got cancelled. So glad that I just baked some peach crumble bars so that I can go eat a piece after seeing all these yummy photos! I loved the book Eat Pray Love, too. I think the movie will be disappointing, so I'll probably wait for it on dvd. Movie + Pie sure sounds like a fun birthday date, tho! I wanted to spread the word about a friend's unborn baby that needs a lot of prayers. You can read more about it at my blog, and we are also do a little fundraiser for the family. pie pops!? how cute and delicious! mmm yeah, totally hungry for some crusty goodness right now! Haha, loved the last comment! ;) I'm not on a diet, but on a new no-sugar-regime. However did greatly enjoy this post! That pie looks so delicious. I need to find some blackberry pies sometime soon. I really enjoyed Eat Pray Love. So many pretty scenes. I love it too! The styling, the colors, and the ridiculous plots are all captivating.